Liguria (north-western region of the Italian coastline) have always had something unique to me. The way houses were built – on cliffs, and most of times in very difficult conditions – and the architecture ability to adapt and kinda “melt” with nature into the environment always leaves me speechless. 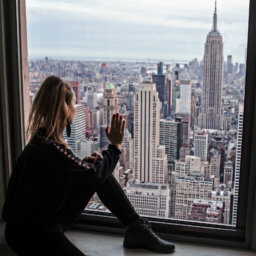 I really cared a lot about writing this article since this area is probably one of my favorite places in the world… And I’m so lucky since it’s just about 2 hours from my hometown! 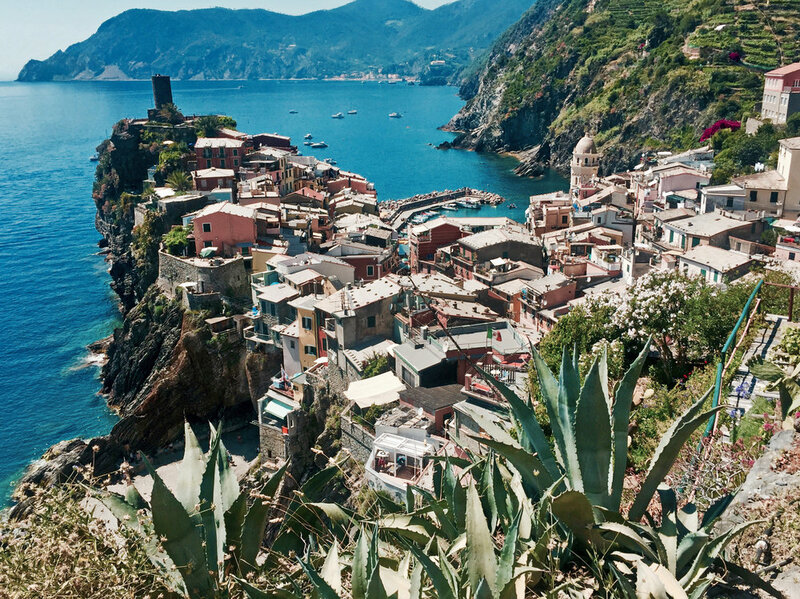 I’ve been visiting Cinque Terre and its surroundings about 5 times now, so this article is a photographic sum of what I’ve experienced during those visits. 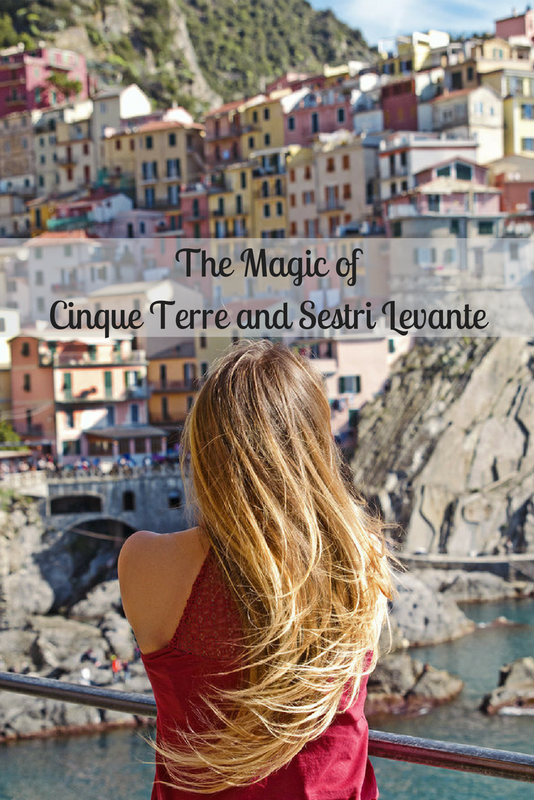 I’ll show you some pictures I took from Cinque Terre (both with my Nikon and my phone), and then I’ll move on explaining how to get there and what else to explore around this area. 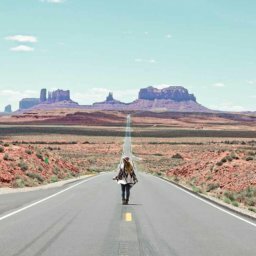 If you’re a hiking fan like me, this will be paradise for you! Check out all the footpaths HERE. Some are longer and more difficult than others. 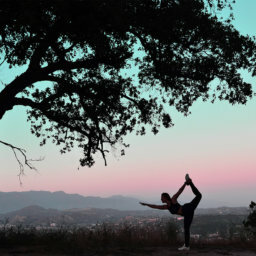 Pace yourself… During summer the hikes can get very tough! Pack water and a hat, make sure you stay hydrated! 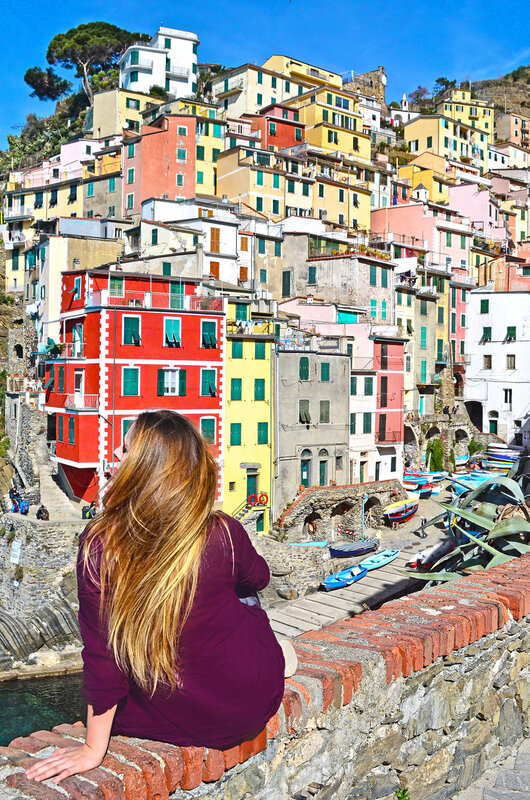 If you wanna see all Cinque Terre but can’t stand walking anymore, remember you can hop on a train at any time! 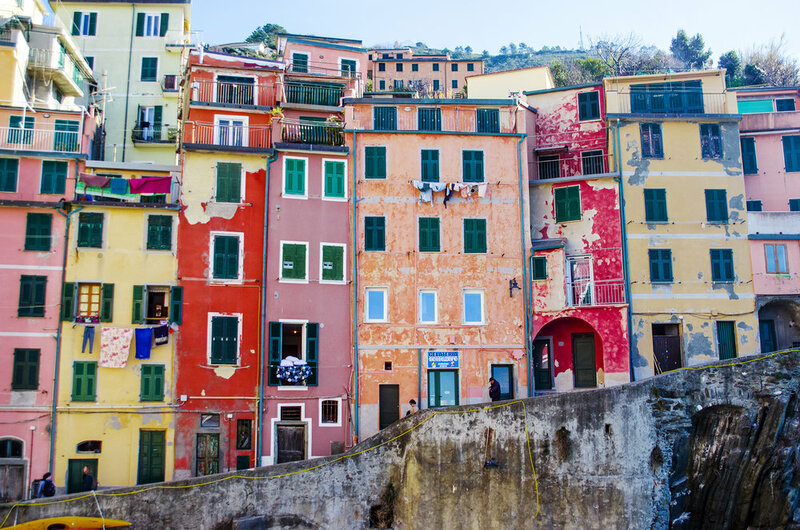 Riomaggiore is often the first village I visit since it’s just a 10 minutes train ride from La Spezia. 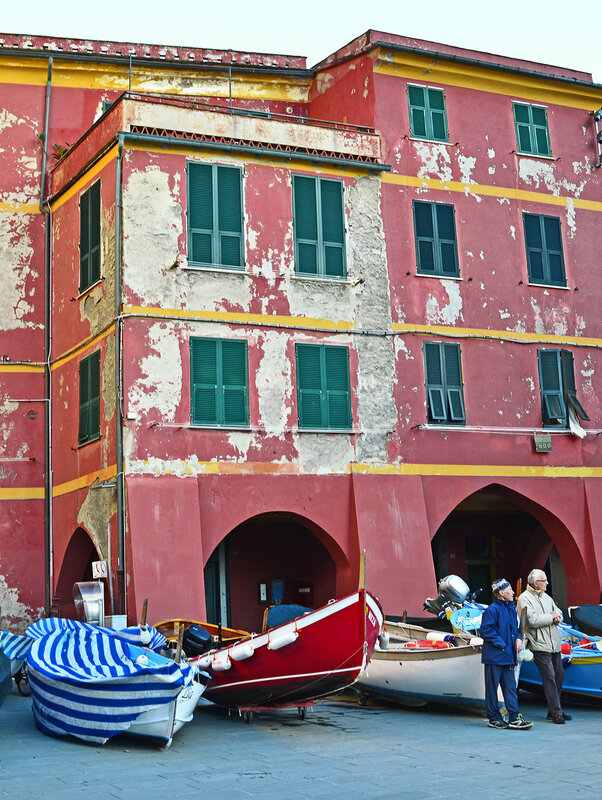 Once you arrive in the village, head over to the port, which is the most characteristic feature of Riomaggiore. If you wanna swim in the sea, there are showers directly in the port where you can wash the salt off 🙂 very useful! 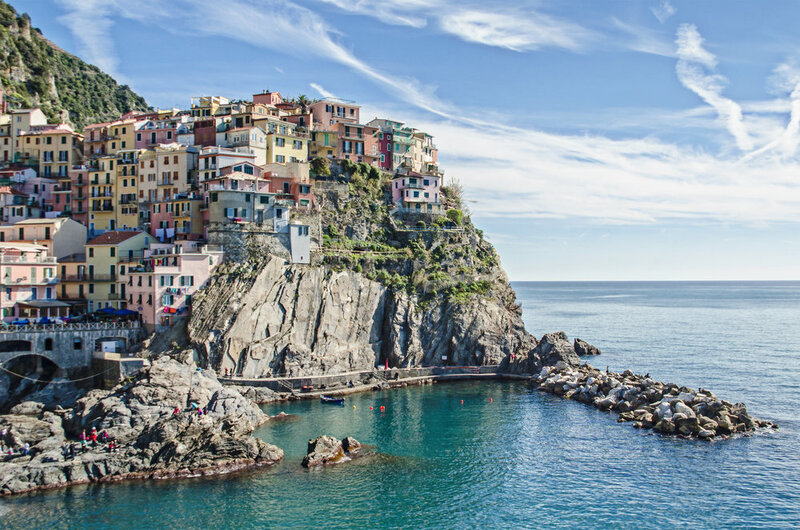 Riomaggiore and Manarola are connected by a hiking trail called “La Via dell’Amore” (Lovers’ Lane), the most famous and romantic walk of the coastline. The stretch is full of love signs written on rocks, padlocks and hearts. A little cheesy to me… But in the end this is the easiest and shortest path to hike (1 km) so if you wanna enjoy Cinque Terre without getting exhausted by walking, I suggest you to hike only this part of the trail. 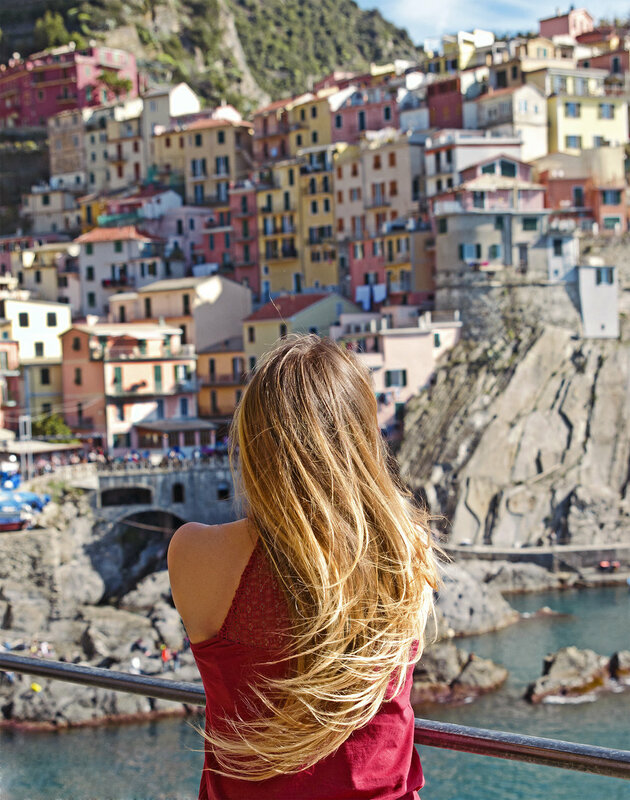 Manarola is so fascinating that it gets hard to describe it: you must experience it. 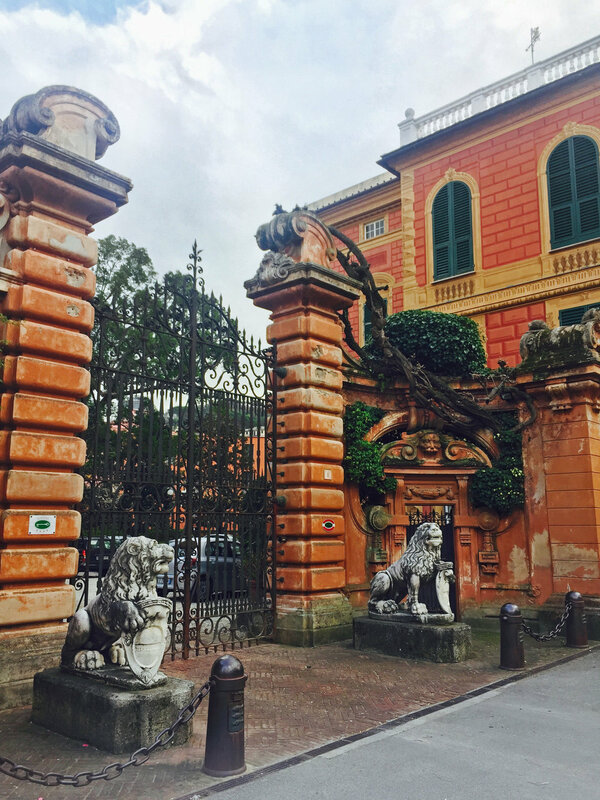 It represents a true masterpiece of architecture: the famous “case-torre genovesi” (tower houses typical of the Genova area) are here brought to fullest expression and realization. This village is the only one where after the train ride you’ll need to get on a bus to reach the top of the hill (where Corniglia is located). If you don’t have a lot of time I’d say Corniglia is (unfortunately) the village more “sacrificable” since it takes more time to get there. Even though I’ve never hiked to Corniglia, I got to see it from the sea during my experience aboard the Zigoela Vessel. This village is probably my favorite, since it offers incredibly photo opportunities. It’s also the one I enjoy hiking the most: look at the views you can find just walking 15 minutes up the hills! One of Vernazza’s most popular features is Castle Doria, the watchtower that was used to protect the village from foreign naval attacks (on the left here). You could also try out the typical street food “Cono di fritto misto” (fish cone), which is basically a cone filled up with fried fish and seafood to take away, if you are a fish appreciator! I’m not, so I never get it, but everyone seems to love it! 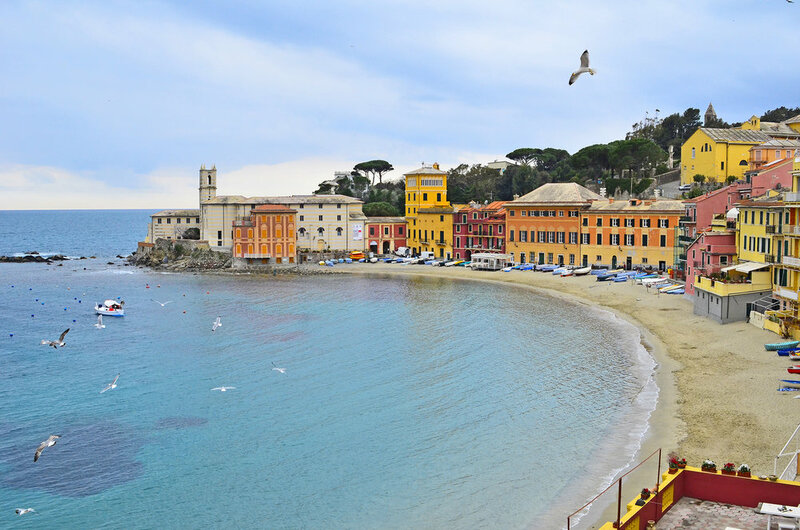 Monterosso is the largest and more touristic of the five villages: it’s the only one with sandy beaches, so if you wanna take a break or tan this is the place is for you! The city center is big and full of restaurants, shops, and bars. I like to leave the visit in Monterosso at the end of my trip, since this place kinda helps me decompressing and relaxing. 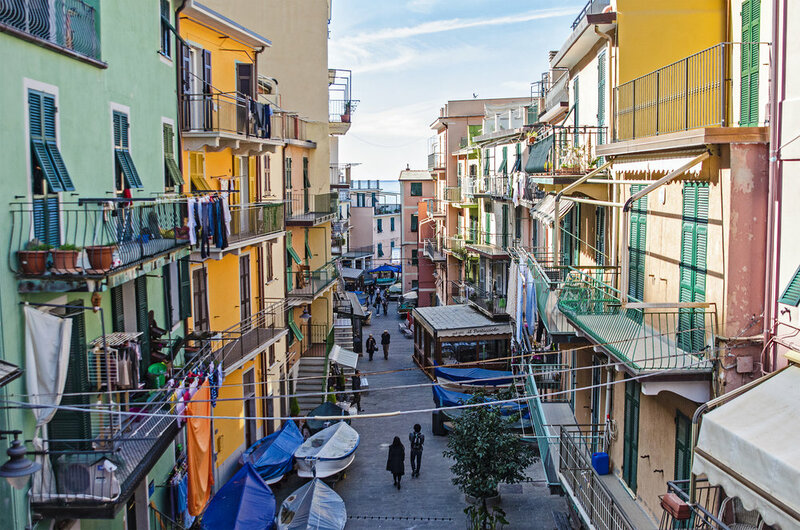 I think it’s mandatory to visit Riomaggiore, Manarola and Vernazza, but if you got a little bit of extra time try stopping in Monterosso as well! I highly suggest you to get to Cinque Terre BY TRAIN. 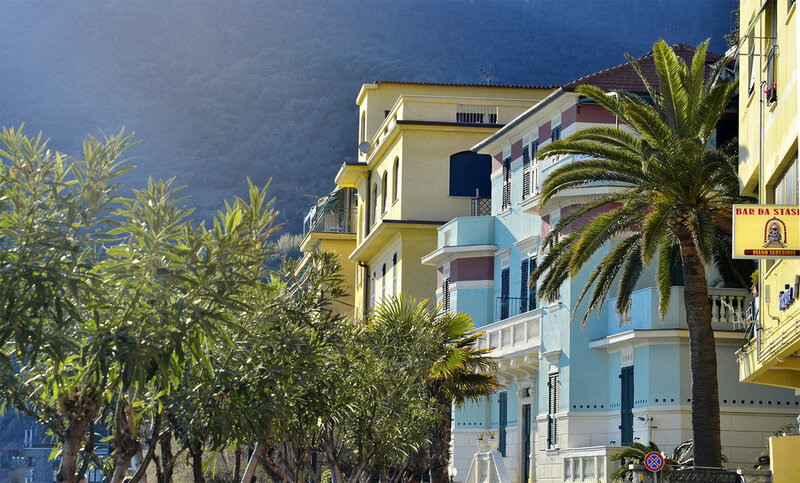 Book a hotel/bed and breakfast in La Spezia, Sestri Levante or Levanto: it only takes 10 to 30 minutes to get to the first of Cinque Terre. 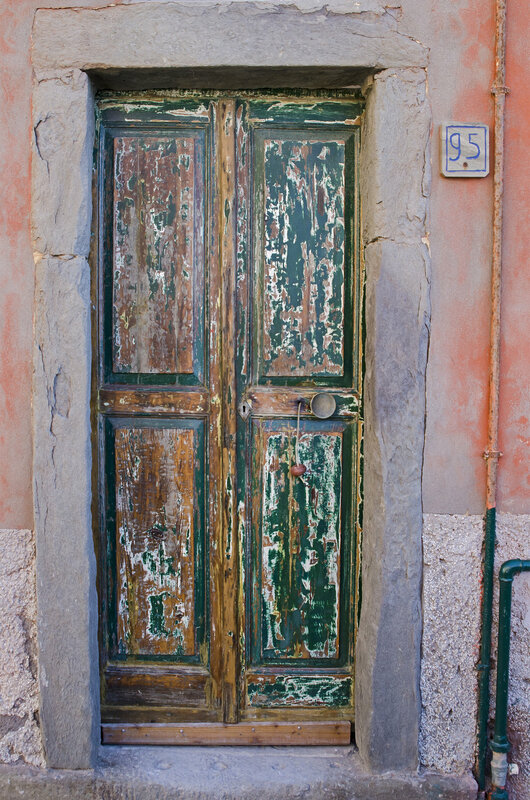 Bed and breakfasts in Cinque Terre are rare and expensive, but most of all very hard to be reached by car. Streets are a nightmare and besides Monterosso Cinque Terre aren’t very rich in parking lots. I highly recommend getting a daily pass HERE or in any local tourism office (ufficio del turismo), which will cover train rides, shuttle rides and usage of trekking trails at only € 7,50 per day. I always get it! It’s the easiest solution. 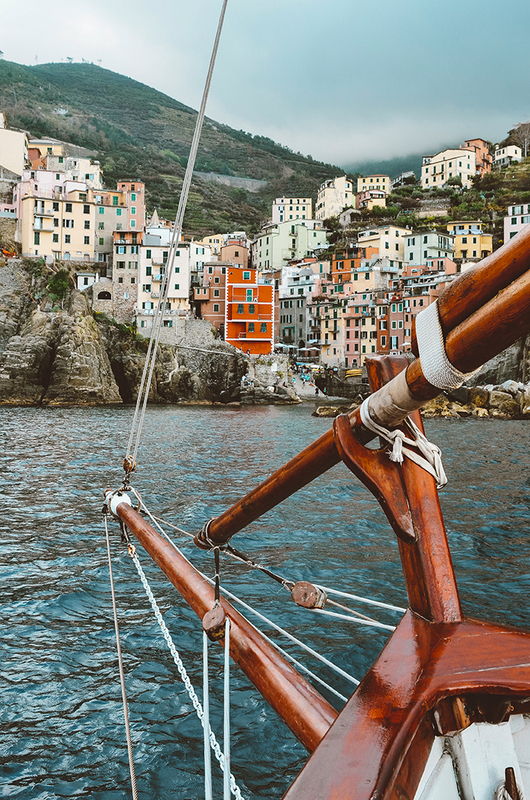 In October 2017 I was lucky enough to experience a different point of view of the Cinque Terre, Gulf of Poets and Porto Venere: starting from La Spezia harbor, we sailed along the coast on board of La Zigoela Vessel. I can’t describe the feeling of finally seeing my favorite places from the sea, while sipping on a glass of wine and eating some yummy “focaccia”. The owner of the ancient vessel was incredibly kind and explained us a lot about Ligurian history. 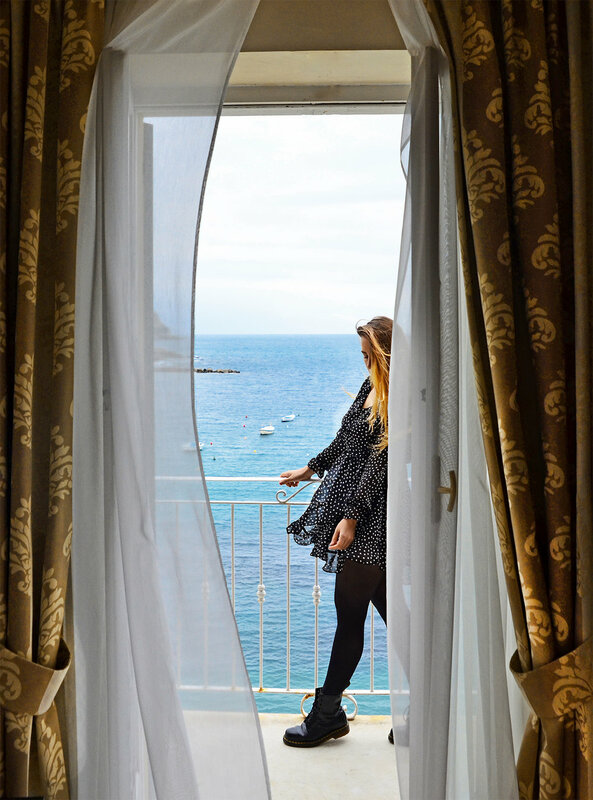 If you wanna live a different experience or have lunch/dinner overlooking the beauties of the Ligurian coast, I highly recommend you to reach out to them. It’s something you won’t forget. 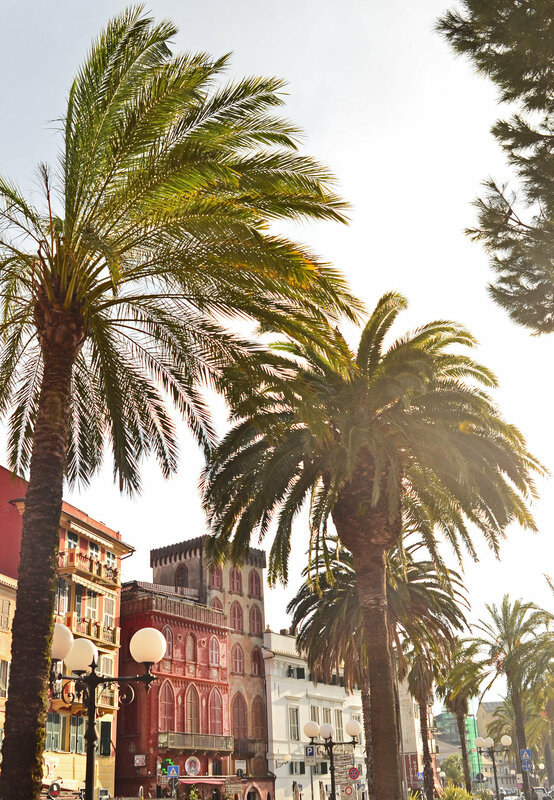 La Spezia is a very convenient place to arrive with a car, since if you park near the train station the ride to Riomaggiore will take you less than 10 minutes. 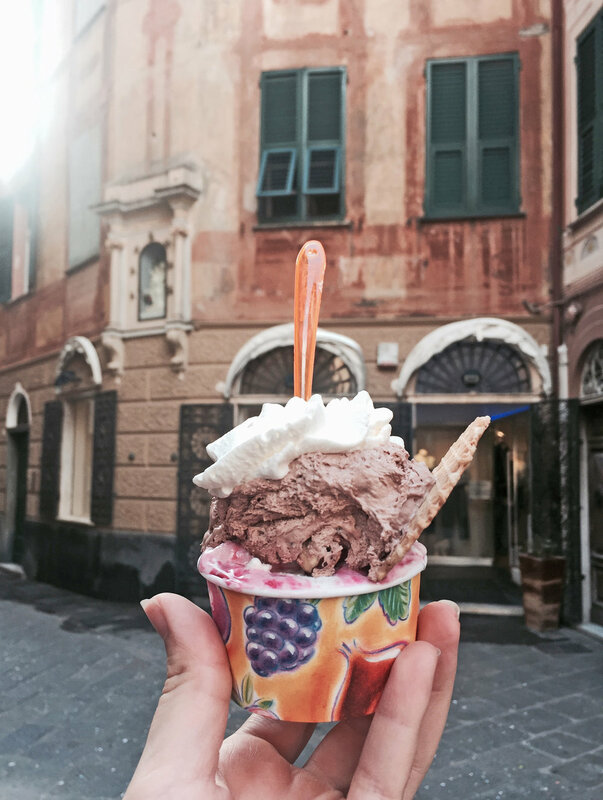 So for daily visits La Spezia might be ideal. 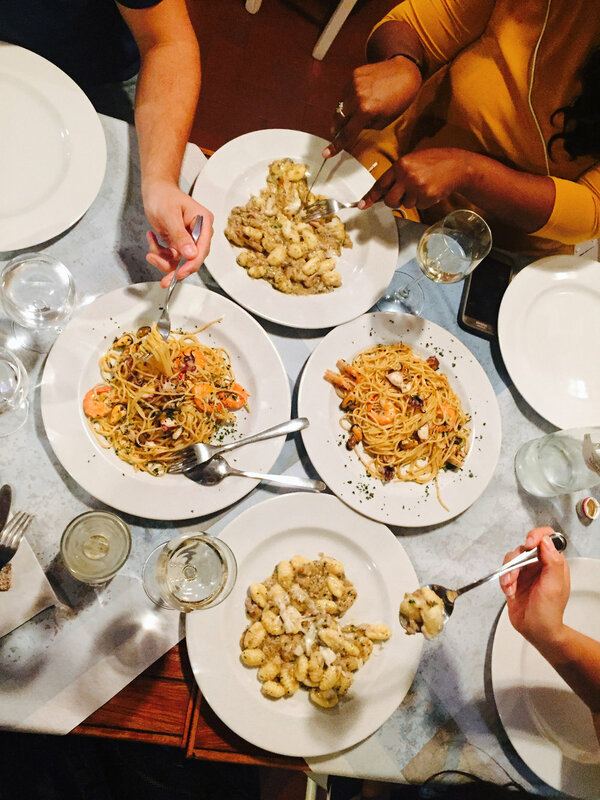 If you get back in town for dinner time, stop by The Zigoela Restaurant to experience a YUMMY Ligurian dinner. 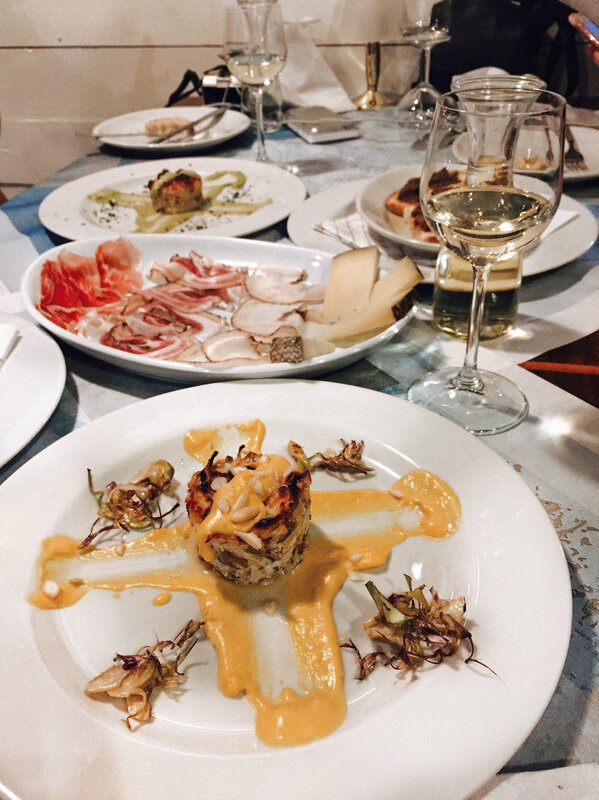 The team behind La Zigoela vessel is also successfully running this dope traditional restaurant in the historical center of La Spezia. So you could either experience their cuisine on the vessel or on the mainland, close to the harbor. My absolute favorite dishes were the artichokes’s flan with pumpkin cream and gnocchetti with pecorino cheese and porcini mushrooms. 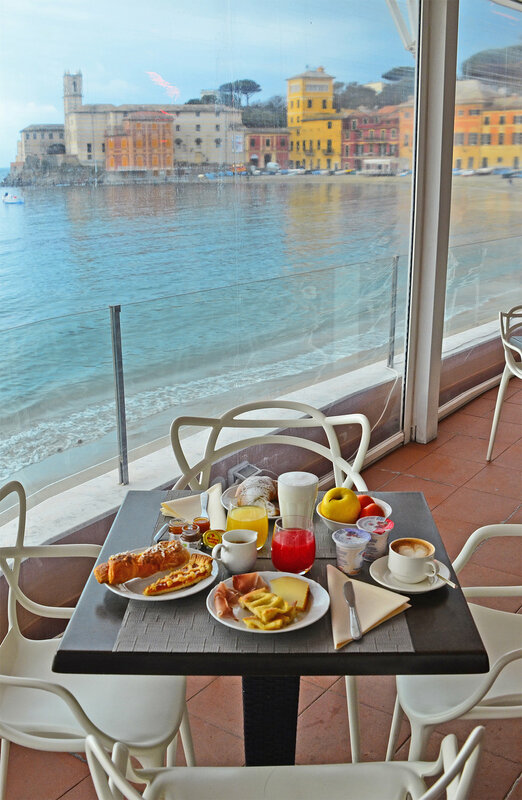 A much more pleasant experience was the stay in Sestri Levante, 30 minutes east of Monterosso al Mare (the “last” of Cinque Terre). 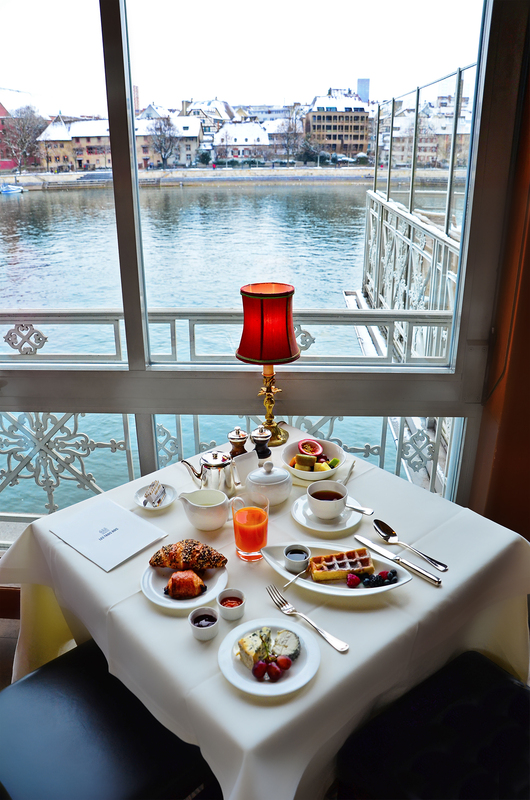 This colorful, healthy breakfast was offered by Hotel Miramare. Admiring the view on the bay while eating sweet and salty treats was WOW! 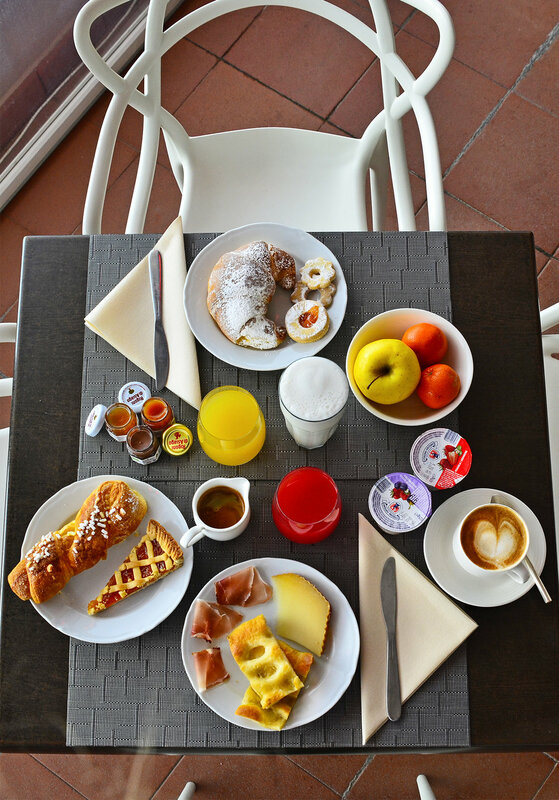 Pastries, cheese, ham, the typical focaccia ligure.. a real, delicious Italian breakfast! We had a great dinner at La Sciamadda Dei Vinaccieri Ballerini, which I highly recommend. 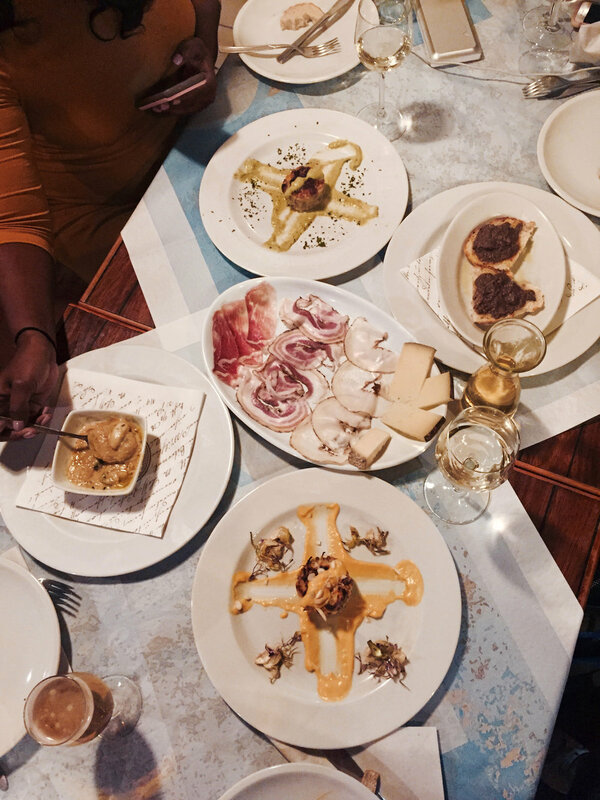 Locals also suggested Cantina del Polpo. Seafood is a must, but try the “troffie al pesto” as well.. They’re my favorite! 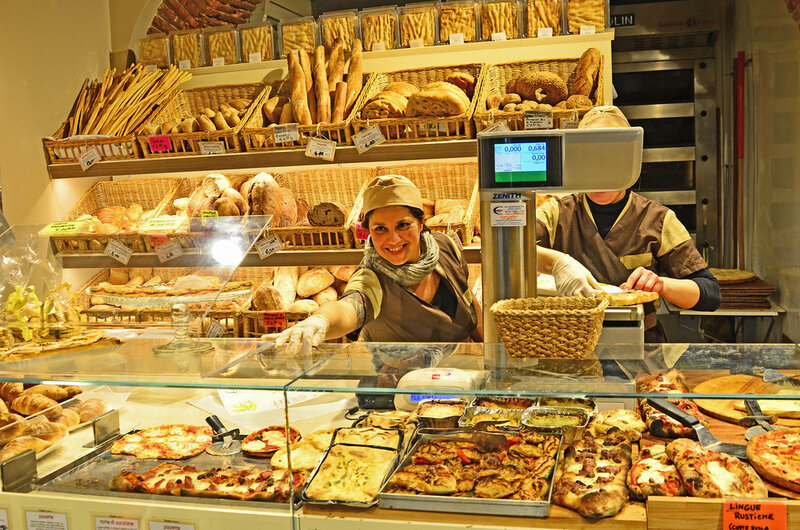 Walking through the city center we found this SUPER well furnished bakery, “Panificio da Luca”, and we couldn’t help ourselves… We bought several kind of pizza and focaccia and we ate them all in the street! #Guilty. 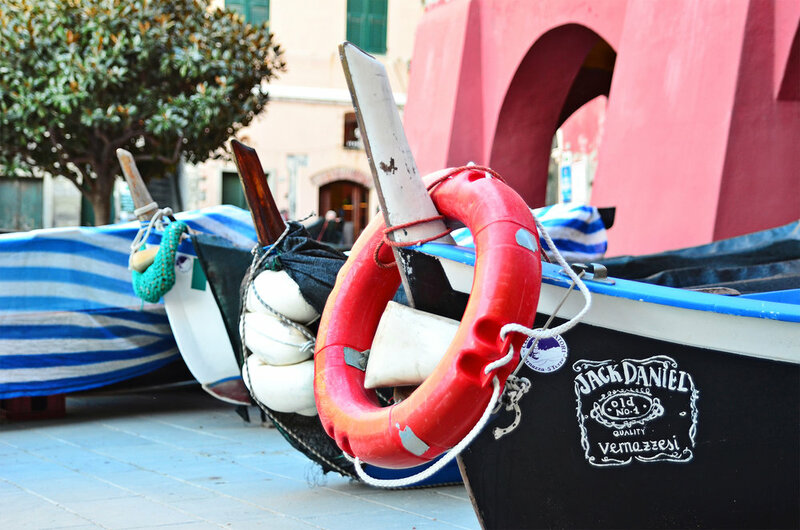 Just 20 minutes from La Spezia lies this little gem called Porto Venere, one of the most exclusive places of the area. It’s easily reachable by car: park on the street or in one of the local parking lots (Gemelli or Cavo). There is a bus service which will help you covering the distance if you parked too far. Tip #1: rent a boat and go exploring! It won’t be too expensive and it’s so worth it… the entire coast around here is so fascinating! Tip #2: if you wanna enjoy your dinner admiring the view of Porto Venere, take a short ferry ride to Palmaria Island, which is right in front. I really hope I could encourage and tempt you to visit Liguria as soon as possible 🙂 See you on the next article! 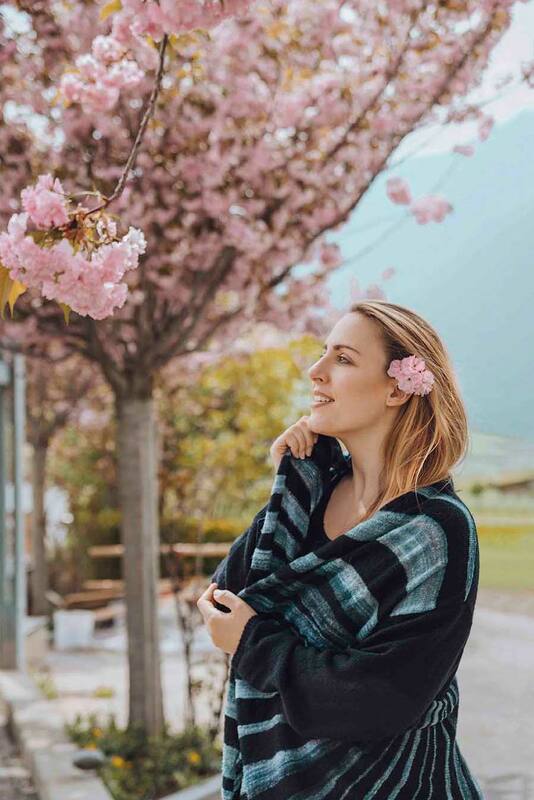 Ps if you love Italy don’t miss this articles about Tuscany!